Home / CAD Hardware • Computer Workstation / What Should the Best CAD Setup Include in 2018? 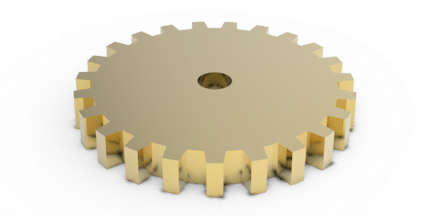 Professional or hobbyist, your CAD gear is your arsenal and needs to be the all-in-one for a smooth and hassle-free CADing session. If you can dish out the cash, this article aims to take you through each of the items that you definitely need for a setup (workspace + workstation) that will let you sit in one place and hit that canvas hard. FYI, this is not a technical text with a specification or quote for PCs (although commercially available hardware will be mentioned). Along with this, please remember this is a general guideline, meaning every readers conclusion will be unique, just like it should be. For that reason, don't worry about not doing what we say here, or how we say you have to do it. Let your creativity run wild, after you read more. First off, the ergonomics will be the most important point of consideration as long, productive hours do not require you to run as in a marathon training, instead require you to be comfortable in your seated position (which you will be in for hours on end, whether at the office or home). For this reason, choose a table and chair combination, one you can probably try out by sitting in. 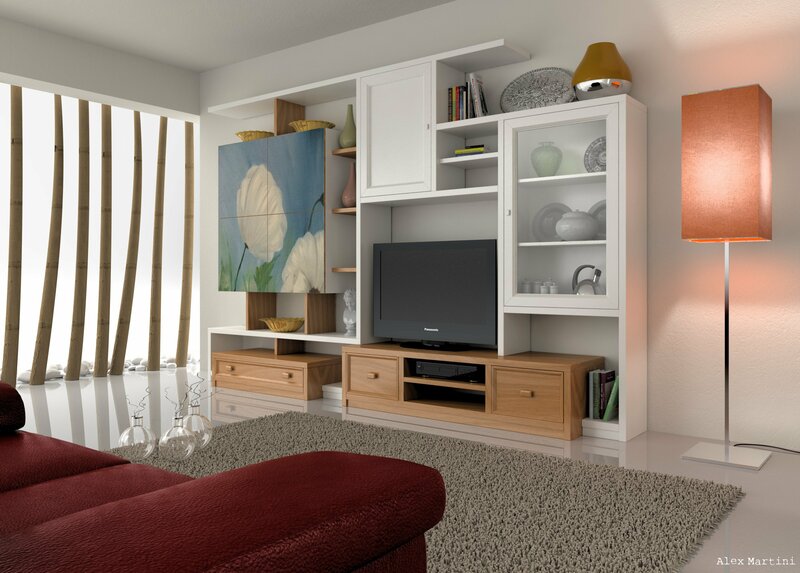 In the case you have an exclusive chair/furniture solution, go for it, otherwise furniture combos will help you select the right package with a live, comparative previewing experience. Check out our best picks for CAD furniture. It is essential that your table have drawers, deeps one are preferred as you may have physical tools such as a Vernier caliper that you may use often (when 3D printing or designing to scale models). One locked drawer wouldn't be a bad touch, but that's just me. Following this, since the drawers will stack beside you (horizontally adjacent drawers are not meant for desktop tables because of the proximity of the chair and the person sitting) make sure you have ample leg space to the other side so you don't have to squeeze yourself in or turn to the side to position yourself diagonally. Chairs should definitely have arm rests with some adjustments in the rests as well as the back. The back should be a strengthened one, because having to sit for long hours (especially for the home-users), the chair's back support will take a lot of wait when leaning back during break sessions. Foaming in the sitting part will obviously be the best option, with similar textured skin (i cant stand the leather, personally). The chair has to be a rolling one, that is a default for all computer work-spaces. There may be a thing such as “too many lights”, but too little is definitely a no-no. Get a proper light source, at least a single powerful one which you can use primarily when working with added support for special purposes. 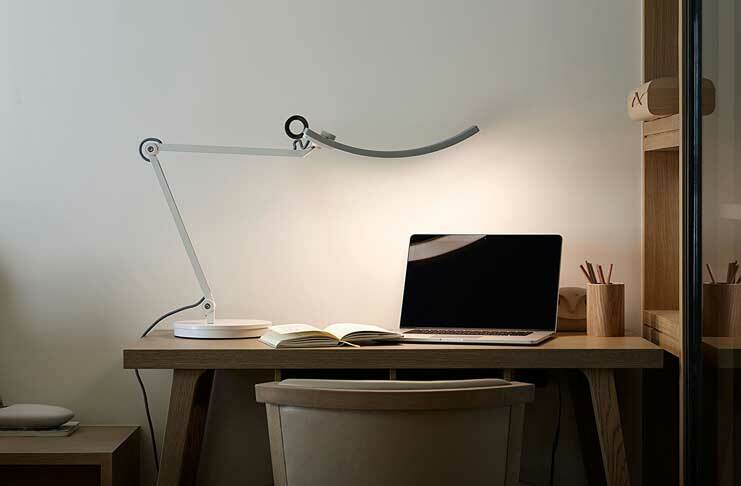 Table-clamping lamps are available in a number of sizes, shapes, colors as well as lighting options including but not limited to bulbs, LEDs etc. Get additional light sources for backup; i have one desk lamp and one tube light on the wall, 2-feet above the highest point of my monitor setup. With it's face tilted towards me, there is ample light around the clock (mo pun intended). There is no point of getting a rig, if a power-out will wipe out everything that you forgot to save. Doesn't matter if you've never seen an electricity power out in your area… ever. Don't take the chance, at least not with the equipment that cost so much to setup in the first place. UPSs, backup batteries, stabilizers are all good examples of preserving your computer's life in the long run. In a time when selfies are the most important thing on a cell phone that needs repair, it is hardly surprising that a back up storage medium is a must! Without this, not only are you letting yourself get victimized (virtual threats include file corrupting malware whereas physical threats are not limited to larceny and vandalism), you're ensuring that you have no way of reacquiring your lost credibility (portfolio, projects, designs etc.). Cloud storage is definitely a must have, but that requires a fast internet connection. However, with large-sized 3D CAD models, internet speeds are no match for physical reading and writing of data to a directly connected SSD. This one is must. An extension cord with the mostly powered devices connected to it, and placed somewhere on the back of the table out of view. If your choice of the table was an unenclosed one, your parts' wires can be diverted to the back, going into the cord, permanently plugged into the wall socket. In my case, since I have a laptop, i have a power cable and charging adapter permanently fixed to the back of the table, plugged in. That's for when I'm home, when I'm on the go, i have a completely separate charger/wire combo to accompany me. If you're not using the latest range of Apple's products, which promise true wireless all around, then you know what a hassle wires are. As discussed above, directing all wires to the back was just a way of getting them out of the way, but to really put them in place, wire clamps can be added to your table and wall if you have one adjacent to your work-space. 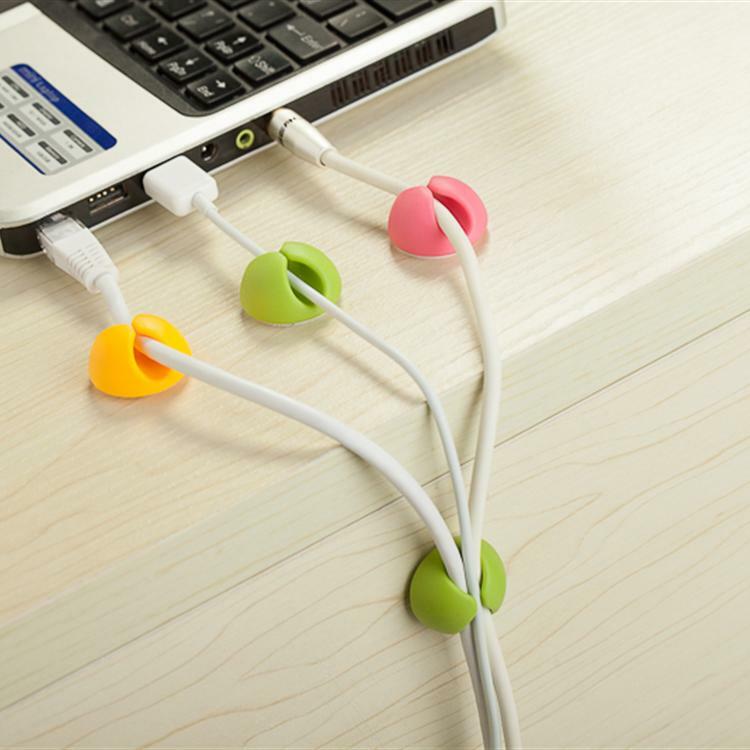 Cross all wires from within the clamps and keep them in place no matter how many times you move your devices. A regular pen holder with a post-it notes pad can go a long way, but a shelf with required items nicely stacked in place is like nothing else. Your desk reflects your attitude towards your work and if you're serious about working then you would naturally want to do away with the distractions of having to get up from your chair and looking for the stapler or pencil sharpner (assuming you still use pencils). A cell phone dock is perhaps your best friend, allowing you to connect your phone to your PC, it's own proprietary set of auxiliary accessories or simply, the charger. In my case, my dock is a Bose SoundDock Series III which charges and plays songs apart from recording capabilities. The built-in mic and speaker combo allows taking calls while docked. Every CAD setup has two essential parts, the work-space and the workstation. In this section, we'll be highlighting the hardware you need for a killer CAD rig. Read on for what you should have for the perfect CAD work-environment. For a detailed review of the possible and/or more practical setups, check out our complete article here. Personally speaking, a combination of three screens is the strating point for any serious CADer (pro or not). Two screens for your modelling and rendering (depending on your work requirements and habbits) should be enough while you use the third for your personal or otherwise work. 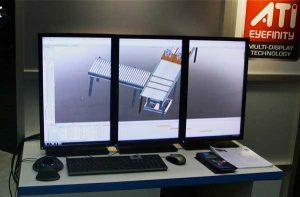 If one of these three screens can be LCD flat-screen TV which sits above your other two screens, you'll get two working screens with the flat screen for previewing or watching movies in your spare time. The whole point of this consideration is that one screen is never a good idea, while two will be the bare minimum. Learn more about the best CAD monitors as well. A keyboard is a must have, even if you select each of the functions available to you from the ribbon bar. For CADing, we have a detailed review of best CAD keyboards here, but a few things to remember are as follows. A full sized keyboard with a numeric keypad is a must. Don't swap the keypad out for a laptop-like tracker pad, because you will have a mouse for the pointer anyways. In the case you really want a tracker pad, a larger, digital drafting pad can be a good alternative. Another thing, make sure it's wireless because it will allow movement, and if you can carry a few spare batteries you won't really ever have a problem. Also, in the case, your wireless keyboard connects using a dedicated dongle, then extension ports for USBs and audio jacks are fine. Otherwise, these should be avoided if the keyboard is a USB-powered or infra-red -based device. 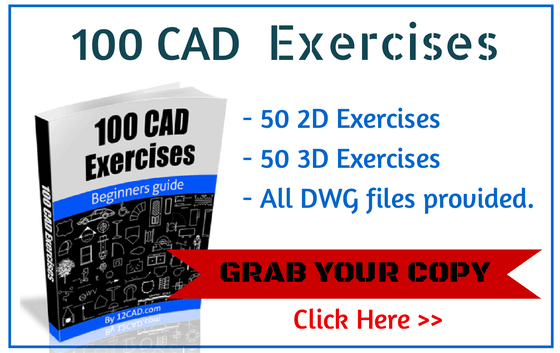 Check the best CAD keyboards here. We're not calling it a mouse here, because that's not what were targeting. Again, we have extensive reviews on the best CAD mouse products. But we are segmenting the whole pointing experience here. First, a mouse will be used for the regular use. 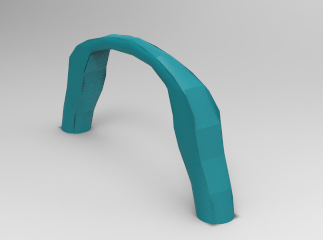 In the case you can learn how to use a 3DConnexion device known as the Space Pilot, you can use that for streamlining your CADing practices. It's almost like a joystick and mouse combined into one. Many combinations can be drawn from what your preferences and requirements are with regular joysticks also a reliable option. Check out the best CAD mouse products here. A high-powered, A4-sized scanner is a must have because even if you don't scan drawings for importing into your projects, you will need to share these hand-drawn samples between key players. For the printer, the same applies. You don't want to run around once you've gotten down to the task at hand. Products that combine scanning, printing, faxing as well as photo-copying functionality are available for desktop/home users so look towards them to save on money and space. A webcam will also be a great device to have for the same reasons. Your machine is the heart of all your CADing power. First, your CPU/processors need to be high end, obviously. 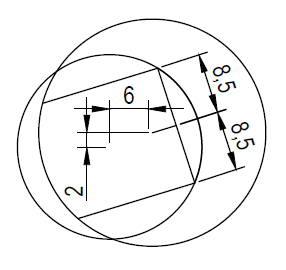 However, the question of number of cores is always a confusing one. As a rule of thumb, designing only uses single cores hence a high-powered single core processor will benefit here. Rendering will use multiple cores and that's when having a mid-level quad-core will be better than the aforementioned single core. 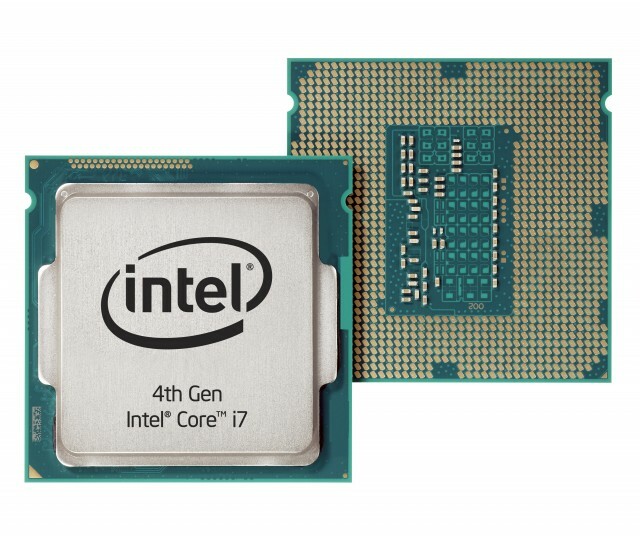 Check out our picks for the best CPU for CAD. The system requirements page doesn't exaggerate when they read 8GB of RAM as minimum requirements. Even for regular modelling projects, the amount of processing and computation that comes into play, we as users don't realize. The amount of RAM you can use is outlined by the architecture of the motherboard you use, but too much RAM is never a bad option. Check out the best RAM products out there today. Your secondary memory cannot be a single unit. With modern day technology and practices, a 2TB SSD as the primary or master device for your operating system and installed software is the best way to go. 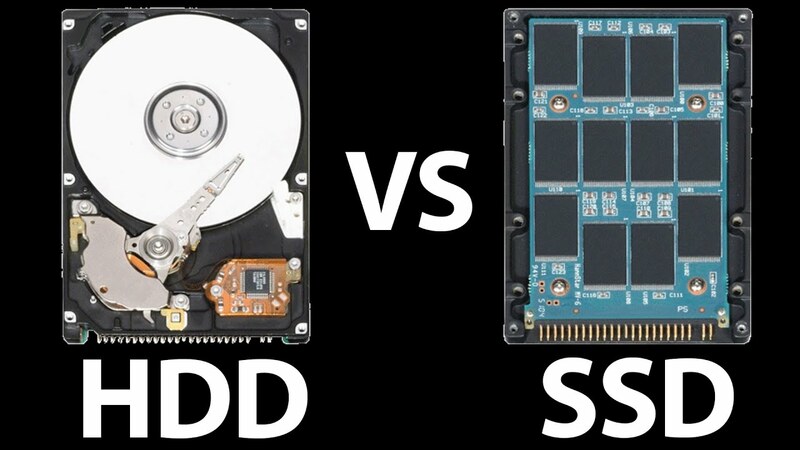 Everything else that you need to save, download from the internet or type in MS Word can go into a 2TB, 4TB or even 8TB HDD SATA connected as a slave drive. Depending on the software you primarily plan to use, you can select the appropriate graphics card by finding hardware associations and deals between software developers and hardware manufacturers. If you use a licensed, proprietary CAD package, the developer's would definitely have a dealership with the hardware companies for optimized drivers, extensive technical support as well as other customization options. A 2GB graphics processing bandwidth is the least required for decent working, 4GB GDDR5 technology is the least we recommend for smooth workflow. Chairs should definitely have arm rests with some adjustments in the rests as well as the back. The back should be a strengthened one, because having to sit for long hours (especially for the home-users), the chair's back support will take a lot of wait when leaning back during break sessions. n a time when selfies are the most important thing on a cell phone that needs repair, it is hardly surprising that a back up storage medium is a must! The listing up top is a general checklist, with things such as a cup holder or foot heater excluded from the work-space. 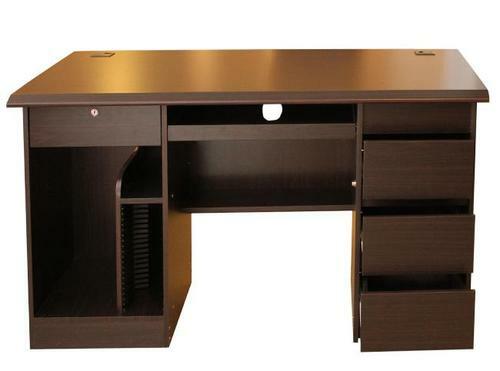 The potential for change in the workstation is just as diverse, hence as stated above, every work space and workstation setup will have a unique approach; and so many things will come and go from this list of mostly-needed-but-are-never-around-when-you-need-them items. As always, don't be shy trying out ideas that make you comfortable and likewise, don't forget to head back over for more.